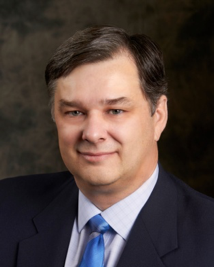 Wayne Haggstrom has more than 30 years experience as an internal and external consultant in quality, process improvement, technology planning and program management for organizations ranging from the Department of Defense and Fortune 100 companies to privately-held corporations. He has worked with organizations to establish the value of their technology initiatives, strategic direction, executive leadership development, waste reduction, process improvement and project management. Wayne works with IT organizations to help them establish a more business-centric approach and demonstrate their value to the C-Suite. Wayne is a decorated veteran of the United States Air Force where he held a variety of assignments supporting other Military organizations, the State Department and other government agencies. Wayne was also selected to be a regional examiner for the 2017 Baldrige Awards for the Southwest Alliance for Excellence. Wayne has a Masters in Information Systems Management from Webster University and a BS in Civil Engineering from The Ohio State University. He is a certified Project Management Professional, Certified Six Sigma Black Belt through Johnson Controls, Certified in Lean/Cycle Time Reduction and a Certified Quality Facilitator through The Total Quality Institute, as well as certified in Prosci Change Management methodology. He is also a Certified Sustainable Building Advisor. He has been an instructor for Management and Executive Leadership Development as well as Sustainable Building Concepts and Methods. He is a senior member of the American Society for Quality and a member of the Project Management Institute.